What unites many of us in the Southern Appalachians is a love for hiking along the hundreds of miles of trails in our region. Ten years ago, I discovered that many of these paths form a loop measuring over 350 miles in length. 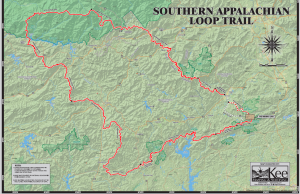 Pieced together, this route, known as the Southern Appalachian Loop Trail or SALT, is currently 99.4 percent complete. With the exception of a sliver of undeveloped land on the state line between North Carolina and South Carolina in Transylvania County, it’s already open to the public for hiking. 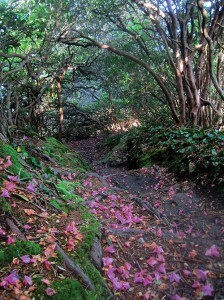 As a loop, you can start and finish at just about any point along the way and hike back around to where you started. 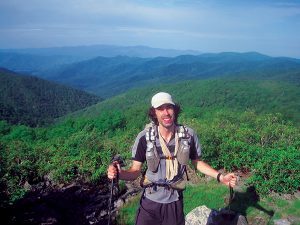 The route highlights the beauty of the Southern Appalachians, from its staggering biodiversity and abundance of waterfalls cascading down from the Blue Ridge Escarpment to the high-elevation spruce forests and panoramic mountain balds in the Smokies. 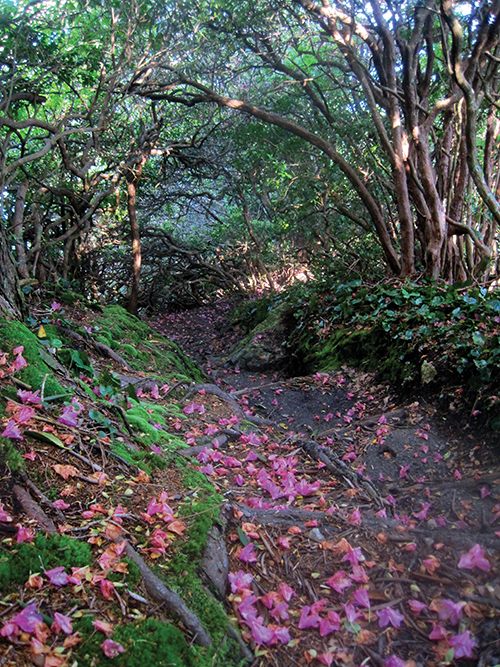 Several connecting trails afford each hiker an opportunity to choose his or her own adventure throughout the mountains of North Carolina, South Carolina, Georgia and Tennessee. In the summer of 2012, I thru-hiked SALT, starting and ending at Jones Gap State Park in the Mountain Bridge Wilderness Area of South Carolina. I hiked in a clockwise direction towards Georgia, along the Foothills Trail. After crossing the Chattooga River, I climbed ever higher over the Georgia mountains, into North Carolina, through the town of Franklin, and eventually joined the Appalachian Trail. At Clingmans Dome, the highest peak in Tennessee, I ventured onto the Mountains-to-Sea Trail and back through Brevard towards South Carolina. 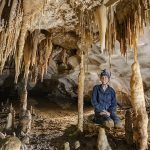 In preparation for my journey, I started with a big picture and then fine-tuned the details for my adventure by consulting guidebooks, maps, websites and knowledgeable staff from local outfitters. I completed my journey in ten days, but a month would be better for a hike of this duration. Even at my blistering pace, this walk brought me closer to the sights, sounds and smells of a wonderful, living temperate rainforest. For days, I enjoyed the sound of songbirds and the fragrance of the wildflowers as I watched for newts, snails, and yes, one rattlesnake along the trail. Although physically depleted, I returned both mentally and spiritually charged with a renewed appreciation for our region. 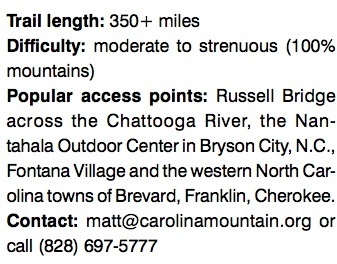 The trickiest section resides in Transylvania County where a road detour is necessary to bypass the missing link. Here, a proposed trail could join DuPont State Recreational Forest in North Carolina and the Mountain Bridge Wilderness Area in South Carolina, bridging 24,000 acres of protected land. Measuring roughly two miles long, this connecting trail would also help to protect the propagation of local flora and provide a wildlife corridor for many animals. 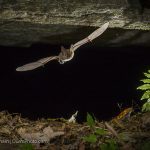 The DuPont Connector, as it’s called, is a focus project of the Carolina Mountain Land Conservancy, a western North Carolina land trust dedicated to protecting the region’s natural resources. Since 1994, CMLC has protected more than 27,000 acres of natural lands across the Blue Ridge, including more than 3,000 acres directly buffering DuPont State Recreational Forest. 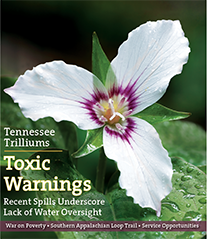 Often, the land trust works with landowners and partners to make many of these protected lands available for public recreation. In 2013, a year after my thru-hike of SALT, I began a year of service with CMLC through the AmeriCorps Project Conserve program with a motivation to help move the DuPont Connector project forward. During my service with CMLC, I’ve been encouraged by the enthusiastic feedback from local residents and hikers about the concept of SALT. Thanks in large part to the work of a handful of organizations responsible for the creation of the Palmetto, Foothills, Bartram, Appalachian, Mountains-to-Sea and other regional trails, the route is close to completion. My hike inspired me to encourage others to explore this amazing region rather than drive or fly to a far-away place. 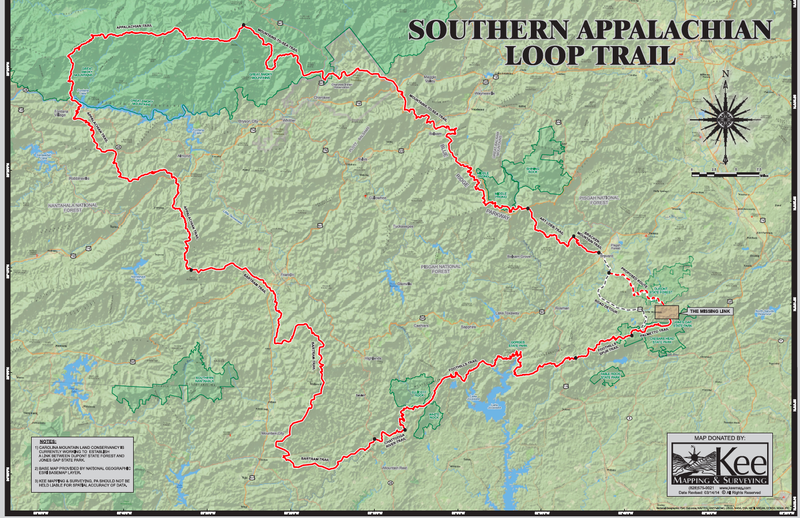 I strongly believe that this loop could soon become a popular hike for many throughout the country. And as hikers venture through the scenic mountains of North Carolina, South Carolina, Georgia and Tennessee, they will inevitably visit and patronize the businesses in the towns that SALT passes through along the way, including Brevard, Cherokee and Franklin, N.C.
You can help make SALT a reality by joining or volunteering with organizations involved with the construction and maintenance of the route. Visit these organizations at: carolinamountain.org, palmettoconservation.org, foothillstrail.org, gabartramtrail.org, ncbartramtrail.org, appalachiantrail.org and ncmst.org. An overview poster of the SALT map is now available from carolinamountain.org/gear with all proceeds going towards the completion of the route in Transylvania County.